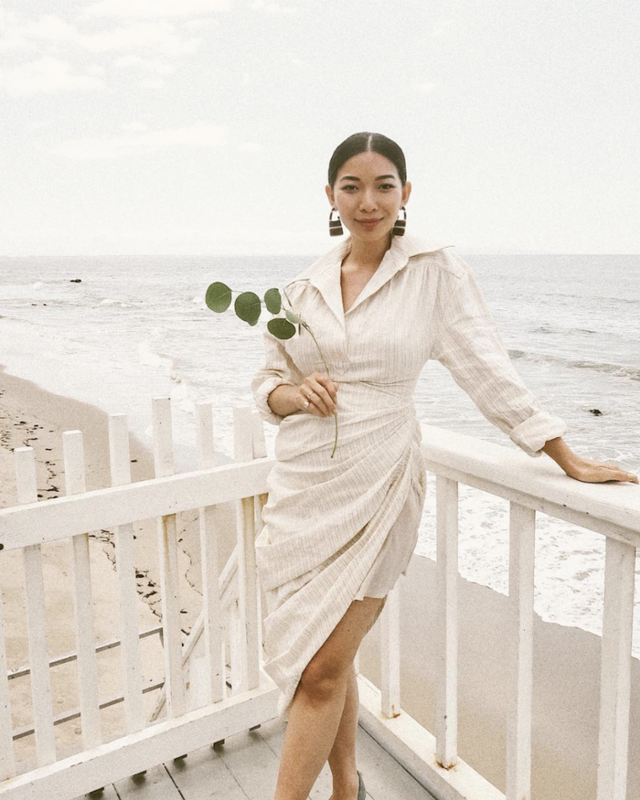 Memorial Day has come and gone, and while we’re not big on adhering to fashion “rules,” there simply is no better time to wear all of your favorite white summer dresses. After all, the crisp hue allows for a timeless look that could rival your favorite little black dress. Bright and fresh, a white dress for the summer is guaranteed to make a major statement no matter the occasion. It’s safe to say that no matter what style you wear—whether it’s a cool maxi, a simple slip, or a gauzy frock—you’re bound to look ready for anything the warm weather brings. Planning to add a few more of these chic summer dresses to your wardrobe? We’ve rounded up some of our favorites on the market that you’ll want to wear to anything from a summer barbecue to an evening party. These ruffles are so pretty. We love a good one-shouldered dress. You'll wear this on the regular. Available in sizes XL to XXXL. Wear this as a cover-up at the beach or on its own to the park. Jacquemus makes the most interesting pieces. Everyone needs a simple white dress. We're obsessed with this neckline. Smocked details are everything this season. This is such a cool design. This dress will feel so good for summer. Zimmermann makes the most romantic pieces. Because you always need a classic slip dress. You'll get so much wear out of this dress. Of course, your outfit doesn’t stop there—complement your stark-white dress with a pair of colorful shoes for a summer-ready ensemble.